Explore Guatemala with the help of our best operators. Explore Guatemala with the help of our best tour operators! Visit the Guatemalan Tourism Authority's (INGUAT) web site where you will find all the information about our country and sites to be visited. Our Cruise Terminal has been working over the past 5 years with registered and cruise experienced tour operators only. 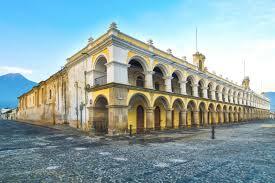 We encourage all cruise passengers to book your tours in Guatemala through your cruise line carrier.